Errors in diagnosis involving children constitute a sizable proportion of medical errors in the United States and are responsible for significant harm and costs. Tragically, such errors are often preventable. The Harvard study of medical error determined that diagnostic errors contribute more commonly to adverse events in hospital and carry a worse prognosis than medication errors. 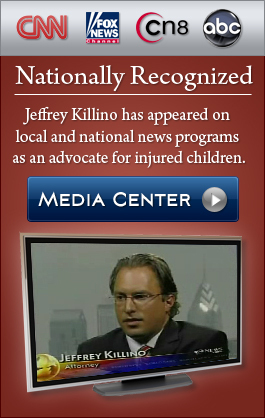 Child medical malpractice attorney Jeffrey Killino has extensive expertise and experience with all types of child malpractice cases, including diagnostic errors that occurred in hospital. 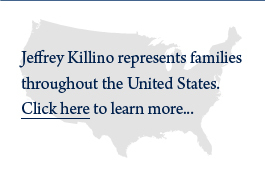 If your child has been injured or killed and you suspect that your child’s injury or death was due to hospital negligence or error, attorney Killino can help you obtain justice from the responsible parties. found that misdiagnoses occurred in 5 percent of children suffering from acute illness. A 2018 study published in Pediatric Emergency Care https://www.ncbi.nlm.nih.gov/pubmed/30211835 assessed medical malpractice claims involving pediatric patients cared for in emergency department and urgent care settings over 15 years. Researchers concluded that cardiac conditions, appendicitis, and disorder of the male genital organs are the most common medical conditions. Titled “Perspectives from a pediatrician about diagnostic errors,” Dr. Geeta Singhal, Baylor College of Medicine, Department of Pediatrics in Houston, Texas, wrote that a little boy was admitted to the hospital after being diagnosed with pneumonia in ER. Meningitis and Cancer have fatal consequences if left undiagnosed or delayed in children. Both conditions get progressively worse over time but they are treatable if properly diagnosed. Bacterial meningitis is contamination of the fluid around the spinal cord and brain. This may be caused by an ear or sinus infection, a skull fracture, or (rarely) after some surgeries. Because of its flu-like symptoms, this infection may go undetected in children. If identified early, it is treatable with antibiotics, but if bacterial meningitis is misdiagnosed the infection will cause brain damage, paralysis, and in many cases, death. The sooner doctors are able to identify cancer in a pediatric patient, the greater the chance of recovery. When a medical professional fails to detect cancer, incorrectly diagnoses a patient, or prematurely discharges a pediatric cancer patient, the harm and costs are often terrifying and overwhelming. If your child has been injured or died as a result of diagnostic errors, attorney Jeffrey Killino can help you hold those responsible for your child’s injury or death accountable. Contact attorney Jeffrey Killino at 877-875-2927 for expert assistance with your child’s medical malpractice case.